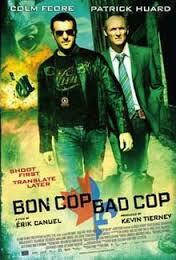 Bon Cop Bad Cop (Canuel, 2006) is the ultimate buddy-cop movie for lovers of sophisticated humour and Canadian culture. When a body is discovered on top of the sign dividing Ontario and Québec, detectives Martin Ward and David Bouchard are forced into a partnership that neither wants. Ward (Colm Feore) is from Toronto, Ontario. Native language: English. Style: by the book. Bouchard (Patrick Huard) is from Montréal, Québec. Native language: French (yes, subtitles). Style: whatever it takes. 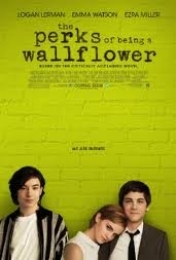 The Perks of Being a Wallflower film is scripted, produced, and directed by the book’s author, Stephen Chbosky. It stars Logan Lerman (Percy Jackson) as Charlie, Emma Watson (Harry Potter’s Hermione Granger) as Sam, and Ezra Miller (We Need to Talk About Kevin) as Patrick. Did I have high hopes? Hell yes. The good news is that the film perfectly captures the overwhelming emotion you feel when you are young. Remember when you felt something and it was so huge that it was bigger than your physical body? You had to dance or skip or cry or scream to even stand a chance of expressing it. Life of Pi is about as perfect as adaptation gets. A few characters condensed here, some emotional stakes increased there… just a few tweaks that are essential in translating the written word into an engaging visual performace. And oh what a performance it is!